Our nED100 wind turbine can help you reduce the energy bill of your SME. Our product has been specially designed to lighten the burden of the electrical consumption in SMEs’ bottom line. You do not have to take care of your nED100 and you do not need a lot of space to integrate it in your installations. You will become a consumer of renewable energy generated near the point of consumption and will contribute to the sustainability of the environment. We have taken care over the design to achieve the maximum aerodynamic capture, mechanical & electrical efficiency. It adapts to the different wind regimes and quickly reacts to gusts thanks to its speed and pitch control. Thanks to its direct-drive configuration, no fluids are used to lubricate or cool it, making an extremely strong machine. You can monitor it 24/7 using your smartphone. What should be my electrical consumption to achieve a return on my nED100? nED100 annual production ranges 200-400MWh depending on the wind resource. It is enough to meet the average electrical consumption of an industrial or service sector consumer. How will I benefit from the installation of nED100? nED100 offers to small entrepreneurs the opportunity to reduce considerably their electric bill using 100% renewable energy. How much available space do I need to install nED100? You just need the necessary space for the tower. 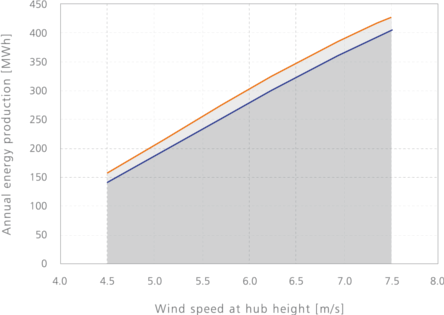 Furthermore, the hub height can reach 36 metres, so, energy production is not limited by nearby buildings. Can I install nED100 near residential areas? Yes, nED100 has been designed using state-of-the-art aerodynamic and mechanical technology so they are exceptionally quiet wind turbines, ideal for residential areas. What are nED100’s maintenance requirements? nED100 has been conceived to require the minimum maintenance. Norvento will constantly monitor your wind turbine so we will be able to meet its maintenance needs remotely.